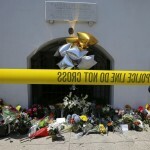 Was the murder of 9 people in a historic black church in Charleston last week an act of terrorism? Today host Karma Chavez will be talking about Charleston and terrorism with Dr. Leah Mirakhor. 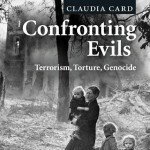 A professor of English at the College of Wooster and UW grad, Mirakhor is currently working on a book about terrorism from the Cold War to the War on Terror. Listen to today’s edition of A Public Affair to here more.